The former Granite family home, which was purchased by the city in 2016 as part of Build It Back's buyout program. 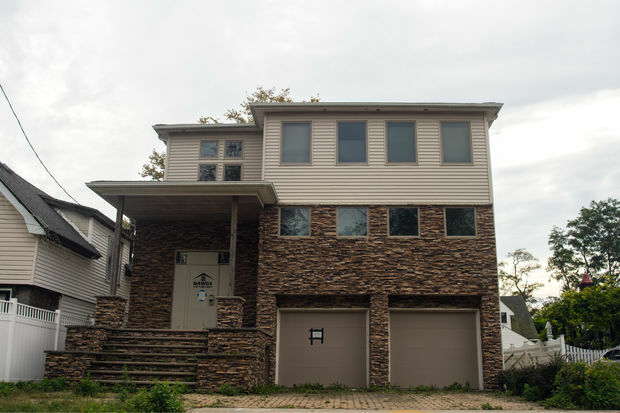 NEW YORK CITY — Joe Granite moved into this waterfront home at Staten Island's Great Kills Marina 20 years ago and had lived through his fair share of floods. But Hurricane Sandy was the storm that did him in, he said. The 2012 storm brought seven feet of “violent” water in his house, in waves that rushed in and ripped sheetrock and siding off his walls. Boats washed up on his block. A carpentry teacher, he spent three months fixing everything so he could get back home. It uprooted the many generations living in his home, including his mother-in-law and an adult son. He signed up for the city’s Build It Back program, doubtful he would get help, and they offered him options when they called in 2015. One was to elevate the entire house, but the thought was out of the question for him. Granite, 54, agreed to the sell his home at pre-storm value to the city. He was one of the first applicants to take the offer, and received more than $823,000 for his home in August 2016, according to city records. He bought a new home in Arden Heights the same month, moving inland and now living many feet above sea level. After Hurricane Sandy, both the state and the city offered opportunities for buyouts and acquisitions of homes damaged by the storm. Most homeowners were happy to sell their homes, exhausted by the recovery process from Sandy. Some homeowners had died since the 2012 storm and their families didn’t know what to do with the homes, officials said. Some neighborhoods, including Oakwood Beach and Ocean Breeze on Staten Island, worked with the state-run acquisition program — which bought out swaths of homes to turn the land back over to nature. Another option was through Build It Back, where so far just 76 out of thousands of applicants have opted to sell their homes instead of fixing them. Granite’s home — which is a few homes away from the coast — was the most expensive sold, and his lot will be kept empty to help mitigate future storms. The average cost to purchase the other homes and lots is around $200,000, city records show. Last year the city added another cash incentive for unloading homes, offering up to $150,000 in additional money for the buyout. The payout depends on income of the homeowner and on where they moved, according to the city. Despite the extra incentive, only six homeowners took this option. Most applicants opted instead to have their homes repaired or elevated — despite delays and other issues involved with Build It Back. “From the beginning, Build It Back made sure that homeowner choice drove the rebuilding process," the program's director, Amy Peterson, said. 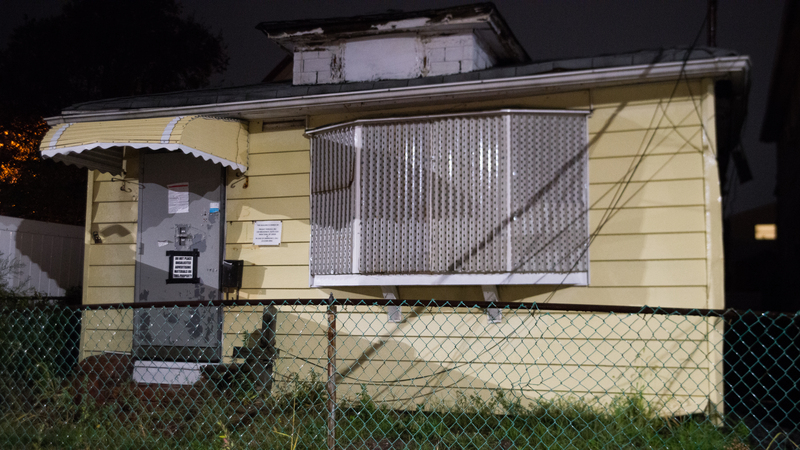 Unlike the large neighborhood buyout program, the city now has to figure out what to do with the individual lots and damaged homes dotted across coastal communities. If homeowners were offered the "acquisition for redevelopment" option, their lot could still be sold to new buyers who could move into their old homes. But the buyout program will also create some empty lots that can't be built on. The city determines which lots should be kept empty. On Thursday, the Department of Housing Preservation and Development was expected to introduce a Yard Expansion Program, or YEP, at a civic meeting in Broad Channel. The nearly 20 homes purchased by the city in this island community will be demolished, and neighbors will have the chance to buy the lots for as low as $500 as long as they're using them as yard space, not for new homes. If multiple neighbors are interested in the deed-restricted pieces of land, which can’t be built on, there will be an opportunity to bid on them, officials said. The idea came from the local civic group, which envisioned more open space to help with major flooding as well as the tidal flooding they experience regularly. “Fitting in with the whole idea of environmental community, the idea of open space was one we explored,” said Dan Mundy Jr., the president of Broad Channel Civic. “If you built Broad Channel today you would be required to leave these lots open. You see the bay, they absorb rainwater runoff, there’s less of an impact," Mundy added. Despite the damage to his community, Mundy said he wasn't surprised more people didn't take the buyout. "Housing costs have gone through the roof, and housing availabilities have gone down," he said, adding most homeowners couldn't buy elsewhere in the city for what they received for their bought-out homes. "People are thinking, where am I gonna go?"